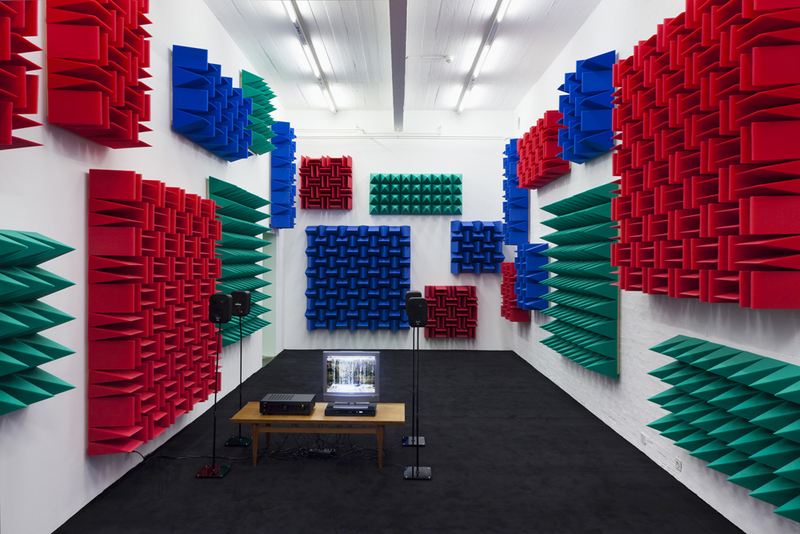 \|\|\|\| \|\|\ by Haroon Mirza at Kunst Halle Sankt Gallen through July 1, 2012. 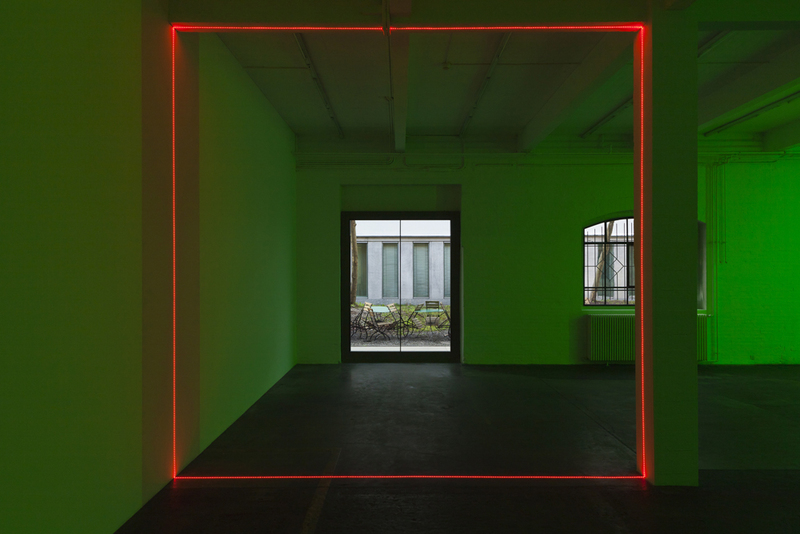 "Mirza also makes direct reference to the space at the Kunst Halle and reacts to its unique features. He reduces the installation to its essential, physical components and presents LED strips in their most basic form and without any supporting structures (such as the pieces of furniture he frequently uses). 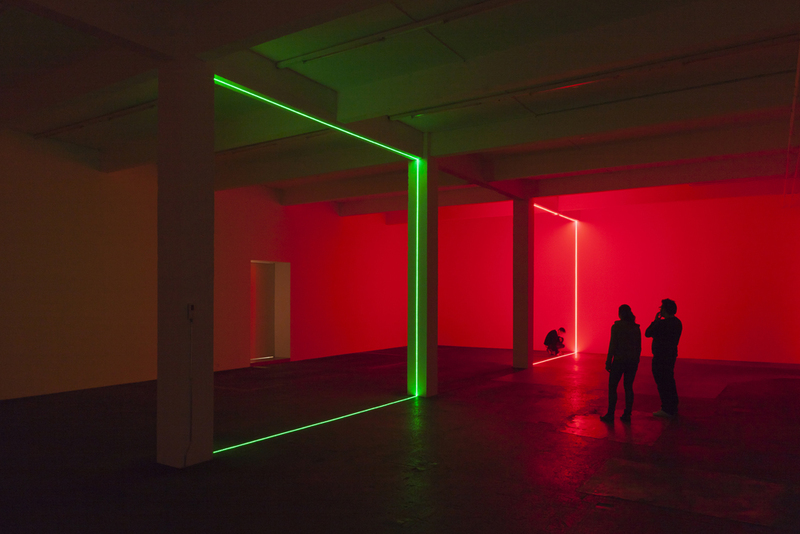 The artist creates three minimalist sculptures with these light chains in the primary colours red, green and blue, which are stretched between columns and walls in the first and last rooms. 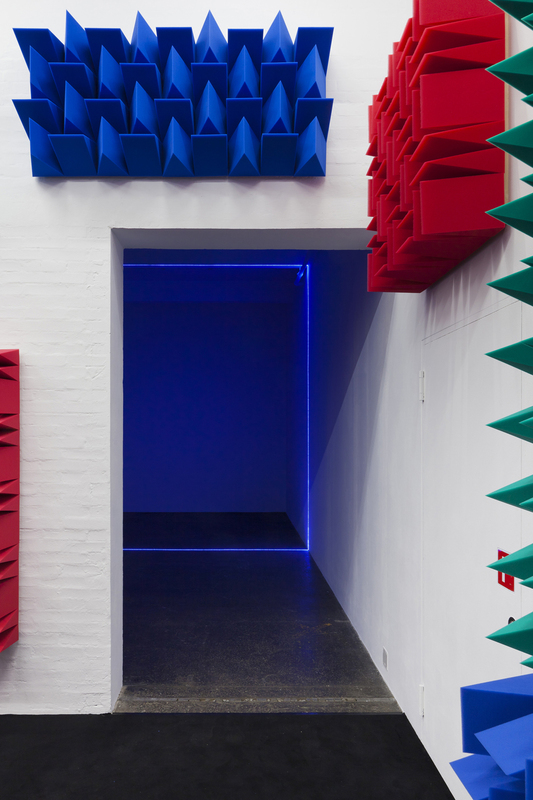 The sounds which the lights generate when going on and off are amplified many times and transported to the middle exhibition room, where they will be heard as a rhythmic composition. Mirza is thus transforming the Kunst Halle into a musical instrument, a vibrating resonator." More info and pictures about \|\|\|\| \|\|\ at Kunst Halle Sankt Gallen. 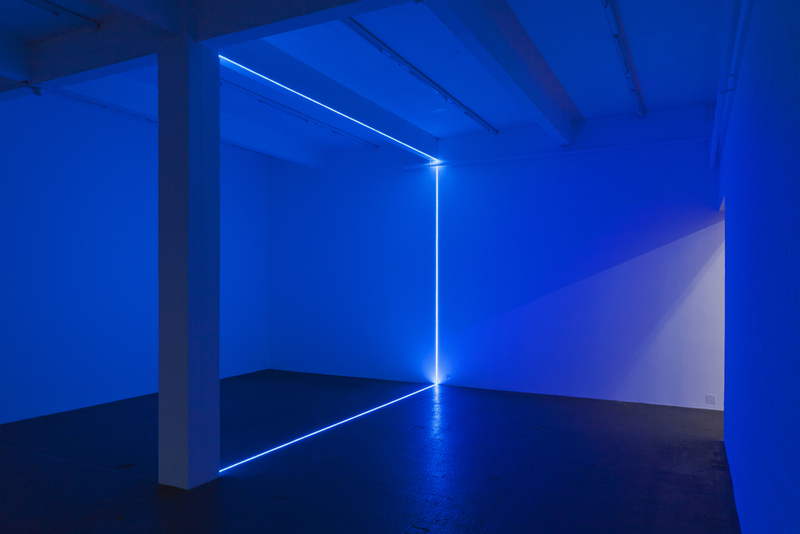 Previous works of Haroon at Lisson Gallery and a recent interview with him at Rhizome.